The twisters in Herndon and Southeast D.C. were relatively weak — both were rated EF-0 — but did cause some damage. WASHINGTON — The National Weather Service has confirmed that at least two weak tornadoes touched down early Thursday afternoon, in Herndon, Virginia, and Southeast D.C. The latter was the first tornado to touch down in the District of Columbia in more than 15 years. The twisters were both rated EF-0 tornadoes, with winds of 60–70 mph. A weather service survey team from the Sterling, Virginia, office concluded that tree and fence damage near the intersection of Builders Road and Crestview Drive in Herndon was the work of a tornado. Based on Doppler radar data, the weather service estimated that the tornado was on the ground around 1:36 p.m. A tornado warning was in effect for the area from 1:26 p.m. to 1:45 p.m.
A few minutes later, they said, another weak tornado touched down near Joint Base Anacostia–Bolling in Southeast. Over a dozen trees were uprooted on the base. Less than a mile away, the roof of an apartment building was damaged along Stanton Road near Barry Farm. The tornado in Southeast Washington is the first time a tornado has touched down in the District of Columbia since September 2001, when a funnel tracked from Arlington, across the 14th Street Bridge and onto the National Mall, downing tree limbs. 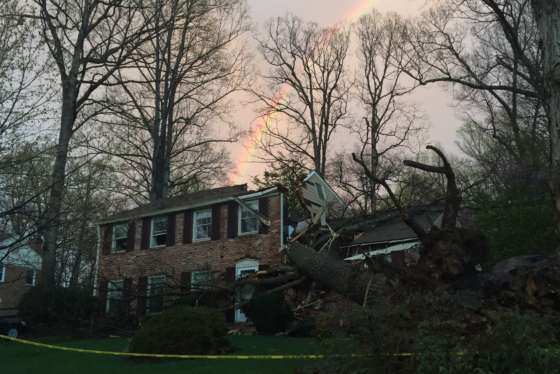 The powerful storm later produced a deadly tornado in College Park and Laurel in Maryland. The strongest tornado on record to hit the District also struck Southeast Washington, causing extensive damage near Anacostia Naval Air Station, the Navy Yard, Barracks Row and Lincoln Park in November 1927. 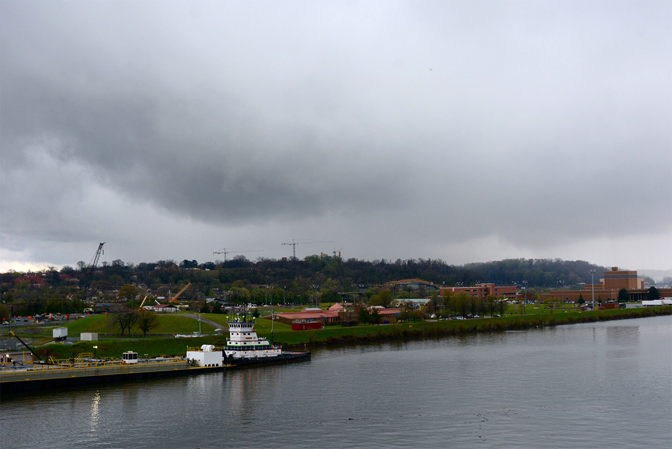 The tornadoes were spawned by a line of northward-moving thunderstorms. Tornadoes that form from linear storms are generally weak and last on the order of only a couple of minutes, a weather service spokesman said. Additional storm surveys are scheduled to take place on Friday.